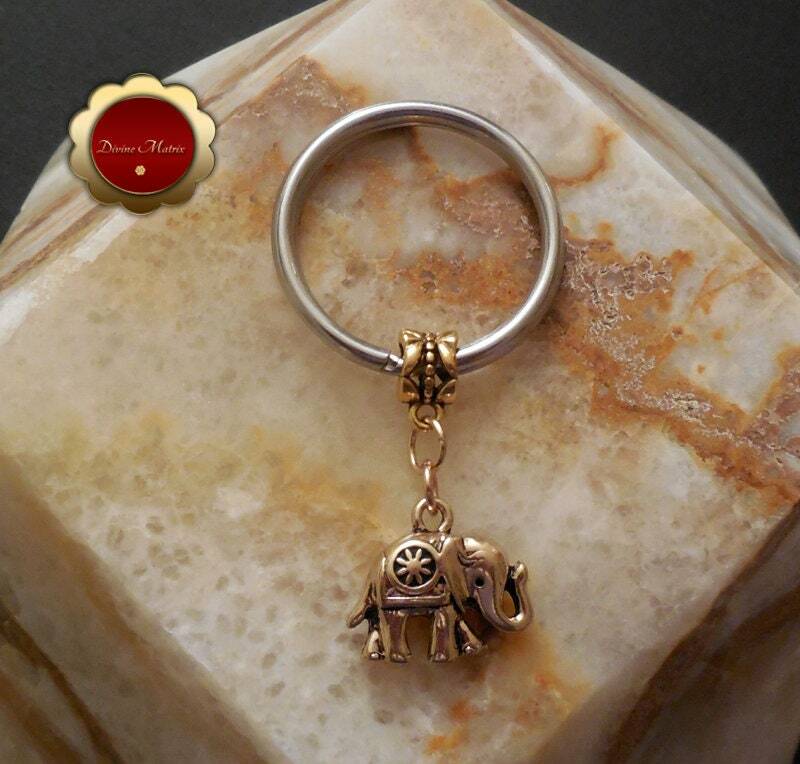 This is an antique gold lucky Elephant charm keychain that comes in gold metal, it is a nice solid piece. The elephant is associated with Buddha and the Indian deity Ganesh and can be used to symbolize power, wisdom, strength, protection of the home, fertility, and general good luck. Many Feng Shui practitioners believe that elephants should have their trunks facing upwards to represent prosperity, good luck, and success. This keychain would make a nice gift for someone special. The key ring is a nice 32mm in size. Zinc alloy and iron. Nickel and lead free. Metal. Charm 0.83" x 0.79" x 0.24"